The mainstay of most coffee drinkers is their drip coffee maker, whatever brand it may be, or whatever coffee they choose to brew. Contrary to the older generations of coffee drinks though, the choice becomes obvious at some point in everyone coffee career. Do you simply abide by the rules of the drip coffee or make the switch to something stronger, bolder, maybe more adventurous? Of course, I’m discussing the move towards the Pour Over brew! This might not have been your parents choice in life, as they stuck out the Folgers brew every day, but perhaps you can change the course and find a new adventure in coffee creation. Or will you? 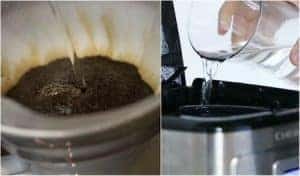 Is it really as simple as pouring water over coffee grounds? Well, first you’re going to get into some different brewing equipment. It’ll be fun though, you might find yourself feeling like a chemist. In fact, the Chemex pour-over brewer was invented in the 1940s by a chemist. Double-fact, it’s on permanent display at the New York Museum of Modern Art. Quite an impressive feat. This should instill some hope that you’re going to be brewing in a proper way. So, the Chemex differs slightly from the traditional pour-over brewer that we’re going to be discussing today. Mainly due to its design and filter thickness. Traditionally, the pour-over uses its own unique filter, but if you’re really measuring, won’t be much thicker or thinner than the same coffee filter one uses is the drip machine. Nevertheless, it’s even more, an important way to brew coffee, and it might just become the mainstay of your morning coffee routine. Now, find yourself a proper pour-over brewing system. Some are even big enough for the office, but anything will do for our purposes. You’ll know that you’ve found the correct one when there’s no chords or flashing lights, timers, or eccentric gadgets in the way. Now we’re talking about a pure coffee brewing experience in the ways of old. Many who are new to the pour over method find that this process is relaxing and feels pure. Real hands-on coffee making! Now, get some water boiling, you can even use the newly retired coffee maker or an electric kettle. Next, grind some coffee to the same consistency you would find in the tub of Folgers or simply make use of those grinds. You’ll need roughly three tablespoons depending on what size of pour-over brewer you’ve got. Typically, they are found in three, six, and ten cup varieties but there’s a whole world of coffee gear out there so who knows what you’ll find. One can always experiment with the strength of coffee grinds to determine what works best. 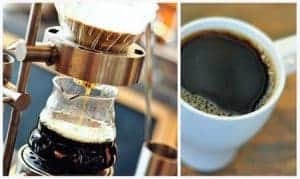 Start by pouring your to-temperature water slowly over the coffee, from the outside in, you’ll saturate the grounds and maybe even start to see the bloom that is common in french press brewing and cupping as well. Cover the grounds making sure all the grounds are saturated. Let the grounds sit saturated for roughly forty-five seconds and then finish pouring the remaining liquid in quick intermittent pours. This allows the coffee to get completely saturated and the extraction to proceed as needed. Though you might find the pouring process arduous, it’s just because you’re used to the drip coffee maker doing all the work for you. This is supposed to be enjoyable, so breath deep the sweet aroma of coffee as the brewing process happens before your eyes. The first benefit on will come to understand is that this particular coffee method that produces a strong, full-bodied cup of coffee. Some people actually report that the “pour over” coffee is the best they’ve ever had. You may be familiar with the Chemex and Hario, these are the most recognizable of this coffee style. The reasons so many love this style is that it most definitely yields a stronger and more intense flavor because it extracts the unique notes and flavors from the coffee beans. The pour-over method allows you to have complete control of the taste, strength and water temperature. 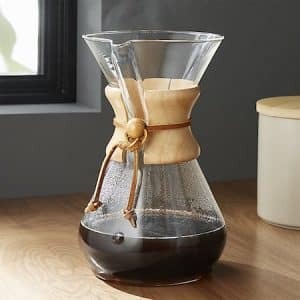 Chemex filters are designed to remove sediment, oils and unwanted acids, which is also said to make the coffee flavor richer and eliminates the undesirable parts of the coffee bean. The Chemex itself is made from glass, which makes it is easy to clean and care for. Since the beans are in contact with the water for longer periods of time when using a drip method, drip coffee is higher in caffeine at roughly 145 mg per cup. It’s especially worth mentioning that by pouring slower you’re able to control the amount of time that the water is in contact with the coffee, which significantly affects the flavor. If you don’t have such patience, then there’s still hope for you yet. What’s that? 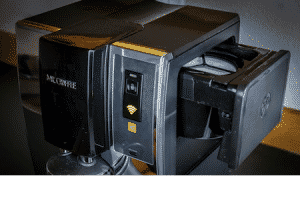 You’re still not sure you want to leave your old coffee maker behind to bite the dust. Well, good thing because there are some important benefits to maintaining your drip coffee routine. If you weren’t totally satisfied with the pour over method then there’s good news. It might be due to the fact that you’re not such a control freak about the way your coffee is brewed. Noted. That means that the automated drip coffee makes your morning slightly smoother. The drip coffee brewing method is able to be set up and left with little concern. Simply go about your morning and come back at the perfect time for coffee. These are by and large the most common type of coffee maker. It’s common and if you’re used to this kind of coffee, chances are your body is adjusted, you know how much caffeine you’re getting and it’s down to a science. Two cups no cream, and good for the day. Does this describe you? So the obvious benefits are that you can set it before you go to bed so that your morning coffee has already started brewing when your alarm goes off. High-end automatic drip coffee makers are ripe with fancy features. 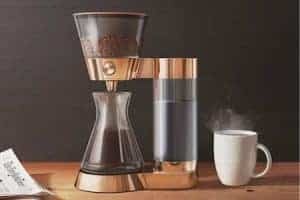 If you’re looking at the really high-end versions, built-in coffee bean grinders, a “keep warm” timer setting, and choosing the length of brewing time which can alter the strength and flavor. Sounds like quite an extravaganza. 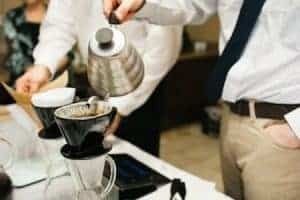 Although drip coffee makers may yield a slightly weaker brew than say, the French press brew method, mostly due to the fact that the grounds are filtered, the filter has been shown to prevent an oily compound found in coffee beans, that blocks the cholesterol-regulating receptors in your intestines, from passing through. Which is called LDL, by the way. In other words, drinking several cups of French press coffee each day may contribute to raising your LDL cholesterol levels (which is more of a concern if you have a diet high in refined sugar and fats), while filtered coffee won’t contain this fatty acid. Standard white paper coffee filters are bleached with chlorine and contain carcinogenic chemicals such as epichlorohydrin and dioxins. Dioxins are a byproduct of paper bleaching and are thought to accumulate in organ tissues and disrupt hormones over time. While it’s unclear exactly how much of these chemicals can wind up in your cup, it’s safer to stick to unbleached paper coffee filters, or better yet, over the paper filters altogether and go for a more sustainable route. Since the beans are in contact with the water for longer periods of time when using a drip method, drip coffee is higher in caffeine at roughly 145 mg per cup. Concerned about producing the best cup of coffee regardless of which method you’re working with. Well here’s the run-down on best practices to perfect every facet of your brewing. Using freshly roasted coffee beans is your best bet for any coffee brewing. It’s going to give the coffee a true to form taste, and you’ll be able to judge beans correctly, without wondering if there’s something missing. And grind those beans on the spot! 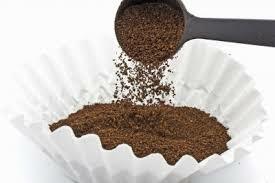 Coffee beans are known to start their process of going stale within thirty seconds. This means you should be grinding only what you need on the spot. Unless you decide to trust an airtight container. Remember that these beans are responsible for the flavor of your morning brew, treat them well and it will pay off. Using proper water is also recommended. If the PH is off in the tap water you use, it’s not the beans responsibility to mask it. Keep in mind that coffee is like 98% water. In fact, poor tasting water could be treated with chlorine from the city, or maybe the nutrient balance is off if you’re using well water. Finding a good source of water is tricky, but some places will sell reusable jugs of reverse osmosis water. If taking coffee seriously is your new resolution then perhaps it’s time to invest in proper water. 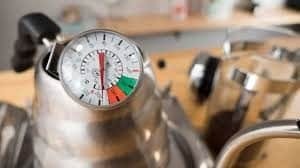 For many connoisseurs of brewing coffee, there are a few factors that maintain the consistency of the brew, and while we’ve discussed water which is arguably the most important factor, the next one down the line is temperature. Many will be curious to know that the way that many drip-coffee makers brew coffee leaves a huge gap in performance here. And the factor that allows us to reach the finish line here is actually the pour over method. So why is this an issue and how is it fixed? By and large, the vast majority of drip brewers don’t reach the ideal water temperature range for coffee. Or if they are reaching temperature during their cycle it’s not staying within that range for long. This is sort of a tragedy if you consider how many drip brewers are out there probably doing their job poorly. Pour over brewers have no control over the water temperature. That part is up to you. It’s extremely easy to put a kettle on the stove till it boils, so you never really have to worry about the water temperature with pour over brewing. Taking control over temperature stability by boiling your own water is an easy and impactful way to improve your coffee in a way most drip brewers aren’t capable of mechanically. Drip coffee makers aren’t actually all that great in terms of teaching you how to brew better coffee. They’re meant to sit on your counter top and perform a specific task. It’s unlikely that they’ll do much more. And we haven’t even gotten to the mold yet. Auto drip brewers are notorious for harboring dangerous bacteria in hard-to-clean places. Yikes! Drip brewers just aren’t designed to be tools you’ll use for more than 2 or 3 years down the road. They will eventually just be landfill waste. Sad. The story is completely different for pour over brewers. They’re designed so simply that you never have to worry about not cleaning them well enough. Most are designed with just one or two parts made of glass, metal, or plastic. Pour over brewers are meant to be permanent staples of your kitchen. If you need to replace a piece of the puzzle it’s easy since there are seldom many components. Drip brewers will be replaced unless you’re investing in a quality SCAA Certified coffee maker. Pour over brewers will most likely never need replacing. Brewing coffee manually brings you to a state that drip brewing simply cannot fathom. Deep coffee-infused zen. You find focus in the meditative movements of pouring water. You find clarity in the rich aromas of every step of the journey. You awaken with intentionality as you appreciate that moment that’s all for yourself. Sure, drip coffee pots are convenient, but they can only truly function in a one-dimensional way. The only factors one can alter are the grind size and the beans you choose to grind and subsequently brew with. Pour over brewers offer some particularly great coffee, complete control over the brew, and a meditational experience with focus, gratitude, and clarity. Auto brewing is convenient, but it distances us from the reality that over a billion people work to support themselves in the global coffee industry. Throwing grounds into a machine that spills out coffee desensitizes us to the labor that got us the coffee in the first place. In the end, the choice is yours, they both have their fair share of advantages via, coast, taste, or convenience. We wish you luck for the rest of your coffee brewing adventures, and hopefully, you’ll find the right gear to make your journey wonderful.